how cute is this! love the strips behind the photos! Adorable photos of course. I like the different patterened strips in this design. Your LO is absolutely adorable, almost as cute as that sweet little one! just adore this - I can't believe the time has flown by since she was born. I just love those sweet pics! Lovely job with the sketch! This is SO darling!!!! LOVE the paper scraps and the cute buttons/embellie additions! Oh yes... and that ADORABLE face!!! So cute! Love the page design! What delightful photos! So adorable. I love your strips behind the photo. This is so classy. Added to my favorites. This is so precious! Love the paper strips you picked! How adorable is this! Super cute photos and great elements! Love, love, love! oh my gosh - such sweet, heartwarming, ADORABLE photos wonderfully showcased. 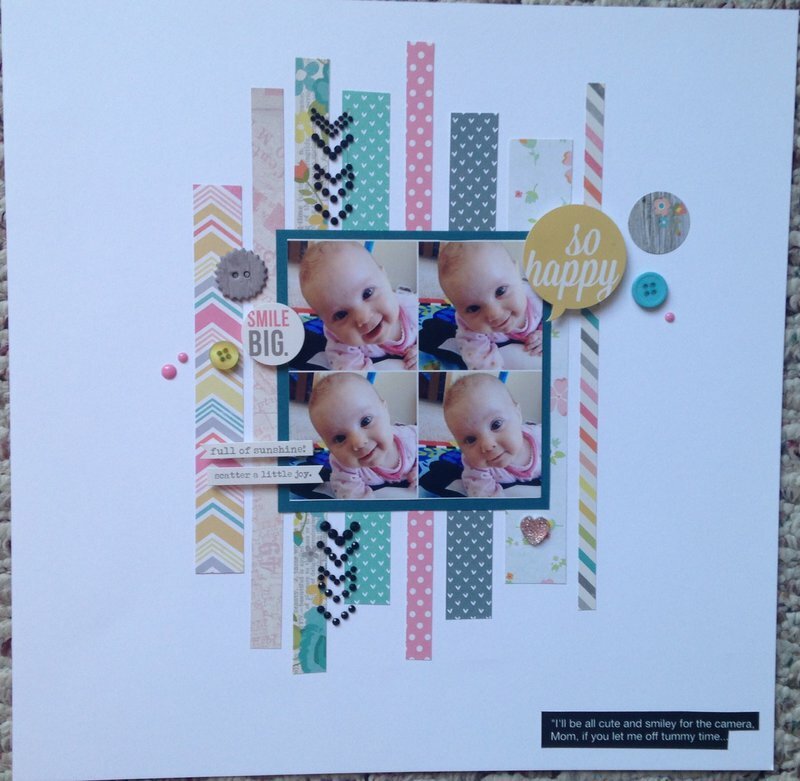 Love the soft colors/patterns of pp strips and the bling arrows/chevrons.